How to Throw a Winter Garden Party! Christmas is just around the corner and for many of us that means lots of parties to attend and hold. Parties during winter months are usually held inside but bucking the trend and heading outside can make your part unforgettable. An outdoor party might sound crazy but there are many ways you can make it fun, memorable and comfortable for all. Opening up your garden can also be essential, especially if you have a lot of guests to hold in a tight space. Take a look at our ideas below and turn your garden into the venue to be at this Christmas and New Year. We all know winter nights are dark! Lighting is essential to ensure your garden looks like a party location not just a cold, grassy patch. There are many, many different types of outdoor lighting to choose from and they are easy to add to any home. Fairy lights are a great option and will really give your garden a winter wonderlands feel. Hang the lights around trees or add to the top of fence panels too. 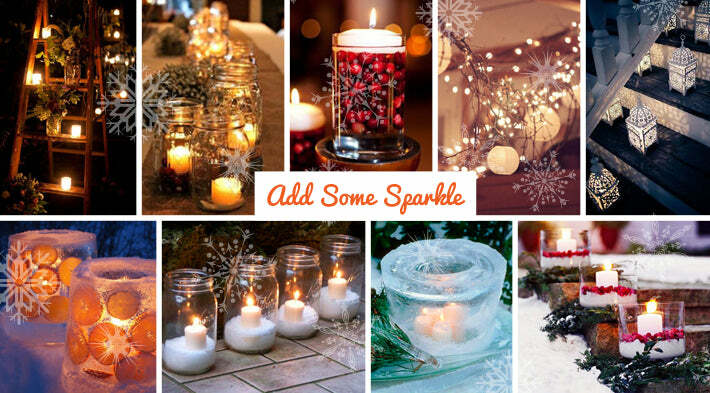 Fairy lights are easy to wrap around most garden ornaments and the more the better! Candles are also a great option for gardens. Candles will give a soft glow to your garden; they can also be brought inside if the weather changes too. Add candles in clusters to your garden; this will ensure they provide enough light for your guests. If it is windy make sure your candles are covered and sheltered from the conditions. Candle Lanterns are ideal for protecting candle flames from blowing winds. 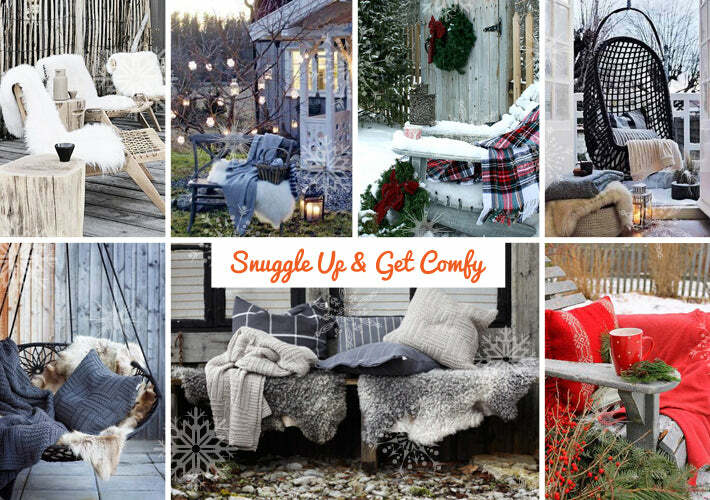 Keeping your guests warm is essential if you want to throw a comfortable, winter garden party. Lay blankets and throws around your seating area. Lay blankets freely around your garden so each guest feels like they can grab a throw if they get a bit cold. Make sure all your guests know to wear warm clothes and encourage them to bring blankets too. Make sure you have an open room in your home too; if your guests get too cold they can move inside the house and enjoy the party their too. This will ensure all your guests enjoy your party and that it carries on all night long too! Fire pits are ideal all year round but can be really handy during a winter garden party. Fire pits come in all shapes and sizes but usually they are a clay or metal bowl which can be filled with charcoal or timber. The fire pit provides a great focus point and will provide a nice, warm space for people to sit around. Fire pits are easy to find online or in most DIY shops. They come in many different styles and are easy to light. The fire pit will give your party a camping like feel and will help keep your guests warm all night long. 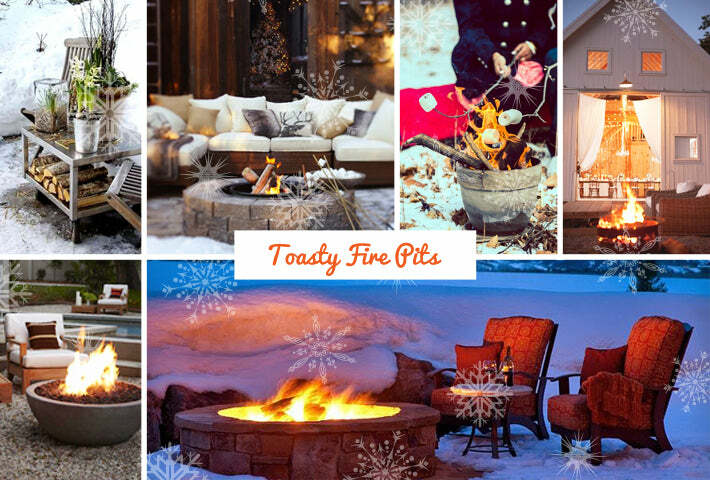 It can be fun for guests to be involved with the pit too; so lay logs around the fire so guests can keep it going too. The best tipple to serve at a winter garden party is definitely a warming cocktail. Warm cocktails are popular around this time of year and most commonly mulled wine is served at most Christmas parties. Make your party unique by serving unusual warm cocktails! Alcoholic hot chocolates are a great alternative to mulled wine and can be flavoured with gingerbread or cinnamon for a truly Chrtimassy feel. For a traditional feel why not try adding unique spices to your mulled wine recipe. Cardamom is a great spice to add to a recipe; it will give your mulled wine an exotic taste. How to Throw a Winter Garden Party by Waltons is licensed under a Creative Commons Attribution-NonCommercial-ShareAlike 4.0 International License.